Cristiano Ronaldo will reportedly have to wait to face his former Real Madrid team-mates as he will sit out Juventus’ summer tour. The Serie A outfit completed a £100million switch for the five-time Ballon d’Or winner following Portugal’s World Cup exit. Juventus will face Bayern Munich in Philadelphia on July 25 and Benfica in New York on July 28. They then take on an MLS All-Star line-up in Atalanta before the clash with Real in Washington D.C. on August 4. But AS has backed up La Gazzetta dello Sport’s claim, insisting the decision to let him sit out was made after long talks with Juve chief Max Allegri and his staff. 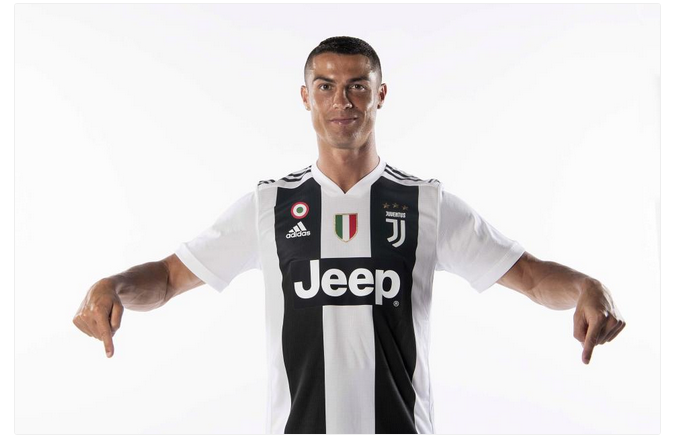 After making his move, Ronaldo – who will earn £26m a season with Juve – said: “It wasn’t a very difficult decision to take. “I prefer to think of me in the present – the present is very clear, I enjoy football, I am still rather young and I have always like challenges in my life. 0 Response to "See Shocking Reason Why Cristiano Ronaldo Will Not Play Against Former Club Real Madrid"